Alexandria, VA. — Feminists for Life of America remembers the many contributions of Sargent Shriver, who died in a Bethesda, Maryland, hospital on January 18, 2011, at 95 years old. Robert Sargent Shriver, Jr., graduated from Yale in 1938 and Yale Law School in 1941. After Shriver married Eunice Kennedy in 1953, they settled in Chicago. Shriver was a strong advocate for civil rights and integration, who persuaded then-candidate and U.S. senator “Jack” Kennedy to personally call the King family after Martin Luther King, Jr., was jailed in Georgia. Shriver was appointed the first director of the Peace Corps by President Kennedy. After the assassination of the President, Jacqueline Kennedy asked Shriver to arrange the funeral, which was watched by millions around the world. President Lyndon Johnson called on Shriver to lead the “War on Poverty.” He created and directed the Office of Economic Opportunity, which administered programs like VISTA, Job Corps, Head Start, Legal Services, and the Community Action Program. From 1968 to 1970, he served as the United States’ ambassador to France. 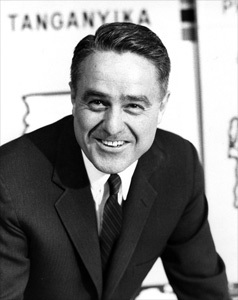 As the Democratic Vice Presidential nominee in 1972, Sargent Shriver was the last pro-life candidate to run on the Democratic ticket. In 1984, Shriver was elected president of Special Olympics, founded by Eunice Kennedy Shriver in 1968, and in 1990, he was appointed Chairman of the Board. President Bill Clinton awarded Shriver the Presidential Medal of Freedom, the nation’s highest civilian honor, in 1994. After decades of service to the country, a family spokesperson announced in 2003 that Shriver suffered from Alzheimer’s disease. His wife, Eunice Kennedy Shriver, died in 2009 at the age of 88. The Shrivers were lifelong pro-life Democrats. They have five children (Robert, Maria, Timothy, Mark, and Anthony) and nineteen grandchildren. The board and staff of Feminists for Life extend their heartfelt condolences to the family and friends of Sargent Shriver. The legacy of Sergeant and Eunice Kennedy Shriver will live on in our work as well as in the work of Special Olympics.